I anticipated that Irish food would involve lots of stew and lots of Guinness. 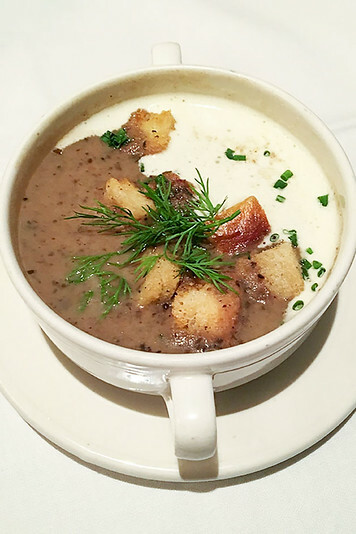 Since I visited Ireland in October, when the weather was quite fall-esque, the change to heartier, comforting meals was really nice and homey. But, I also discovered that modern Irish cuisine is so much more! 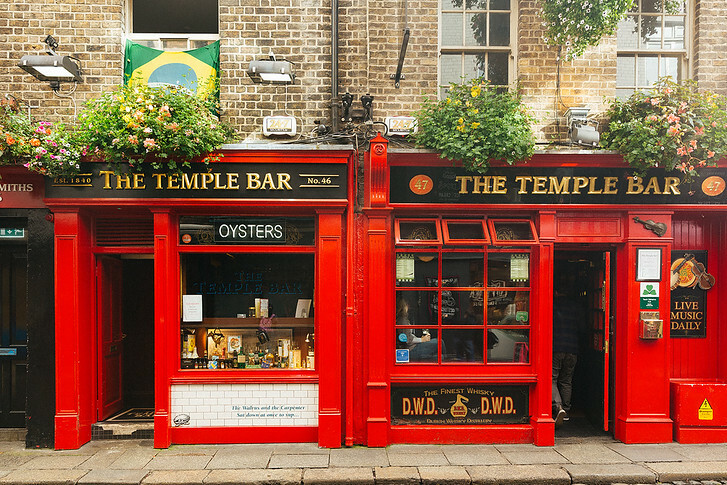 Since we spent such a long time in Ireland, I have a pretty full list of Irish bars, restaurants, artisanal companies and food tours that I liked, so I’m organizing this post into sections. Just read whatever you’re most interested in! You find pubs in every Irish town, no matter how small. 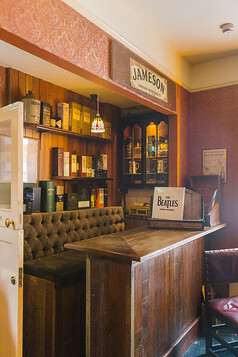 It’s more than just a bar for the Irish, and more of a social gathering space. 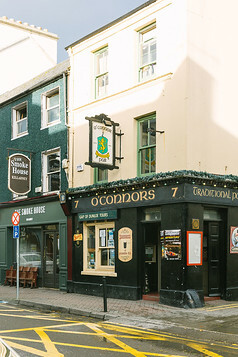 I was surprised to see lots of families at first but Irish pubs are known for more than just great beer – they usually have live music playing and serve great food so it makes sense. You can always rely on pubs to serve the Irish classics, ahem beef and Guinness stew. There was live music playing more than 50% of the time and I loved hearing traditional Irish music. It really makes for such a nice vibe. We’d often have dinner in our hotel, as we were exhausted each day from sightseeing (and as I discovered, hotel restaurants in Ireland serve incredible food) and then pop over to the pub, which would be within or attached to the hotel. 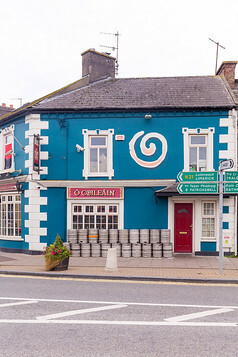 From the outside, Irish pubs are also really colorful and quaint! We drove through so many cheery towns where every building was painted a different shade and in Galway, I loved the toucan Guinness posters. In terms of music, I thought pubs which advertised traditional Irish music might be doing so for tourists, but it’s not really so. Yes, you’ll find lots of tourists there drawn to the music, but local Irish too. The music is great! Funny enough, we heard lots of American country music. Irish people have a well deserved reputation as storytellers. Above is a photo of the most famous Irish bar, Temple Bar in Dublin. It’s super touristy, so I have more recommendations for you, keep reading! This bar is amazing. During the day they sell sweets and excellent coffee and operate a bit like a cafe. At night, they open up the backrooms and while the front two rooms look like a traditional pub, keep exploring! You’ll find a cocktail room which makes the most amazing drinks and even an outdoor courtyard… with another bar! It was a trip wandering through Reidy’s! I was thinking back to all the desserts we had throughout Ireland (we didn’t skip a single night because man, who knew the Irish could whip up some great dessert?!) and I think The Reg tops the list. 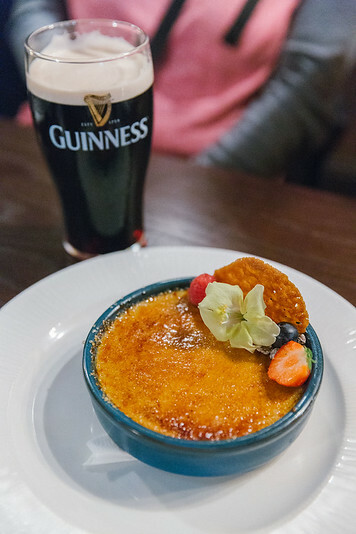 Now you wouldn’t think to visit an Irish pub for the dessert, and trust us, The Reg pours a great Guinness, but it’s also quite a great place for lunch or dinner. Because the food is excellent, I wrote a whole post about it, which you can read here. 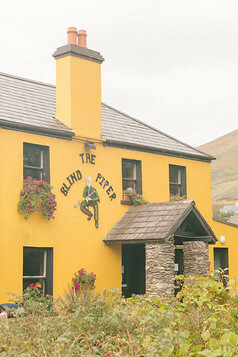 This colorful pub in Caherdaniel, County Kerry, is an adorable place to stop along the Ring of Kerry. 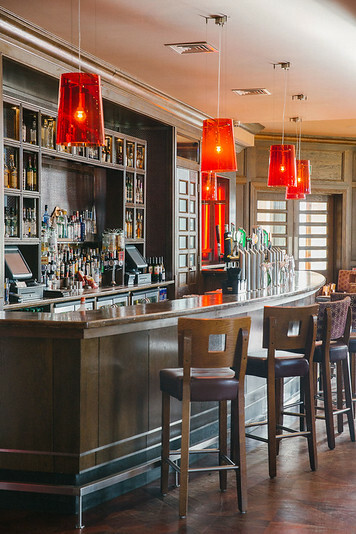 It serves incredible food, from hearty seafood chowder to risotto to burgers with ballybunion relish, and of course great beers. We were lucky to have lunch when local Irish musicians played some traditional Irish music! 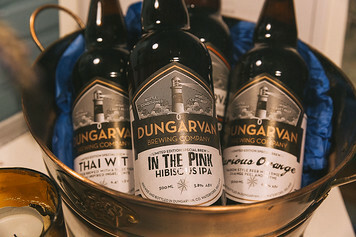 The craft beer movement is alive and kicking in Ireland as well, and we had the chance to tour both the Killarney Brewing Company in Killarney and the Dungarven Brewing Company in Dungarven. I freely admit I know nothing about beer, but the beer lovers in our group seemed very impressed by both. 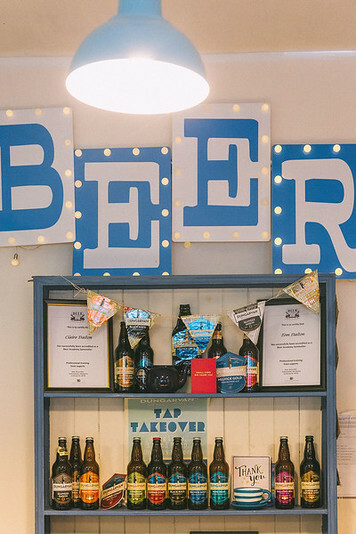 Killarney’s brewery tour is perhaps a little more polished and slick, as they have a restaurant on site for tastings. Don’t skip the food – they wood fire pizzas fresh out back which are amazing. Try the goat cheese and also the spicy meat pizzas. 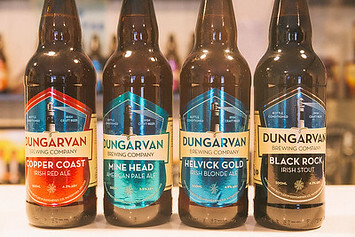 Meanwhile the Dungarven company is a home run business and was one of the first to experiment with craft beer in Ireland, long before anyone in Ireland had an interest. I really liked how they experimented with seasonal varieties and a label for seaweed beer caught my eye! 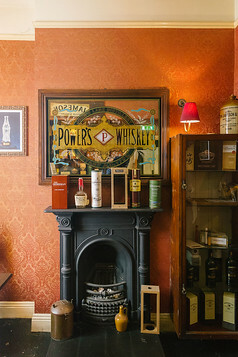 If you really like hard liquor, there are a number of great bars and distilleries throughout Ireland! In fact, Irish whiskey is the fastest growing spirit in the world. Don’t skip Dingle Gin (fantastic) in Dingle or the Jameson Distillery tour in Dublin. But for the inside scoop on all things whiskey in Ireland, along with a breakdown of the country’s most iconic bars and pubs, pick up a copy of From Barley to Blarney. This book just came recently and was painstakingly researched by the bartender team behind The Dead Rabbit (a famous Irish pub and cocktail bar here in NYC). We have a copy of our own and will be using it for our next trip to Ireland in April! 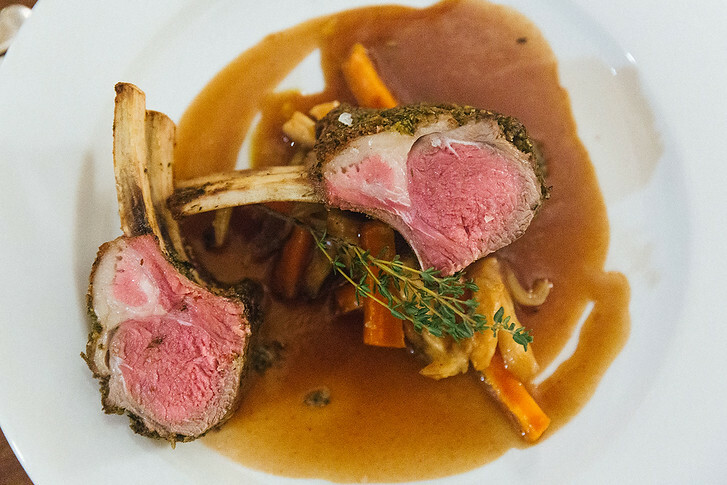 If you like taking cooking classes while traveling, Ireland has some excellent cookery schools where you can learn traditional Irish recipes and try your hand at them! Most of these are set on farms and country estates, which is a unique setting to cook in! 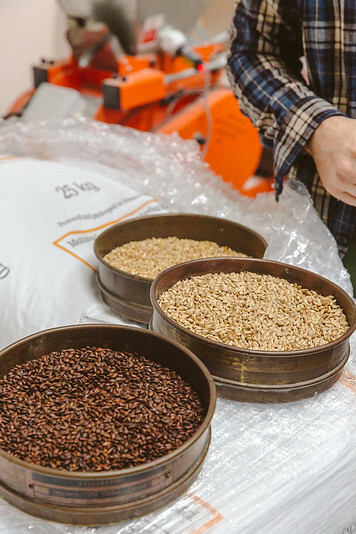 Ireland has a growing food scene dedicated to promoting local artisan products and family run businesses. From vibrant farmers’ markets in tiny towns to fine dining options, there are lots of opportunities to have a gastronomic holiday in Ireland. If you love delving into the story and people behind food, you have to explore the Irish food trail! These are available in Dublin, County Kerry and County Cork so wherever you’re traveling to in Ireland you can sample some great artisanal Irish products. Guinness Experience: Skip the line and visit Ireland’s #1 attraction: the Guinness factory! Learn more here. 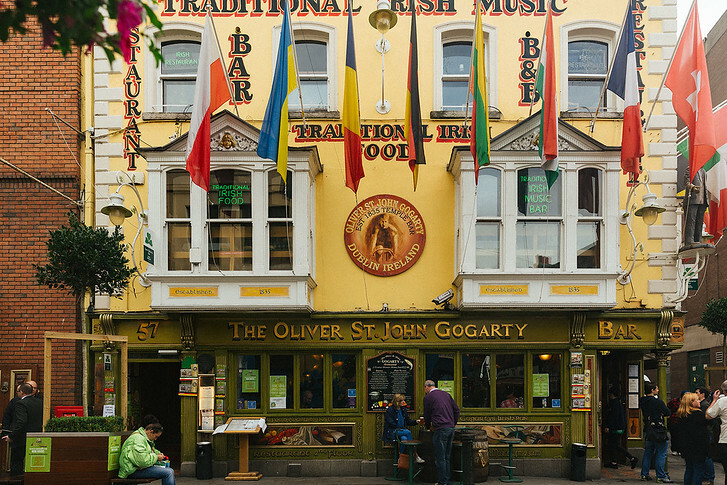 Dublin Traditional Irish Music Pub Crawl: Explore Dublin’s traditional drink & Irish music scene on a pub crawl through Temple Bar district. Learn more here. Jameson Distillery Tour: Explore Dublin’s iconic whisky distillery, the secrets behind the complex whisky making process and of course, taste some! Learn more here. Galway Food Walking Tour: Galway is one of Ireland’s gourmet jewels. Take a 2 hour guided culinary tour to meet artisan producers and sample local favorites! Learn more here. Ireland also has a growing movement of local artisanal products.. from saltwater soaks to seaweed spa treatments, and everything in between! Dingle Gin produces exceptionally smooth gin and vodka. You can take a tour of the distillery on the outskirts of Dingle, in the southwest Gaeltacht region of Ireland. Murphy’s Ice Cream makes all their own ice cream by hand, the old fashioned way, without artificial dyes or flavorings, using all locally sourced materials. Try their fun flavors like caramel honeycomb, caramelised brown bread and dingle gin. So good! 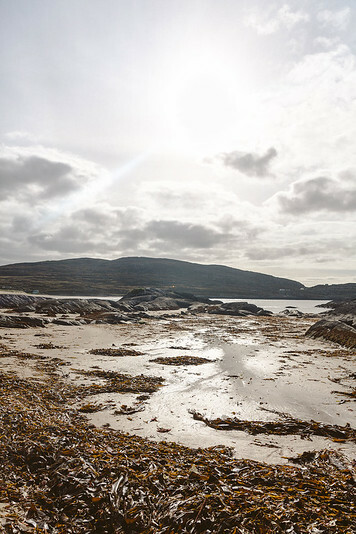 The Atlantic Irish Seaweed company offers seaweed walks along the beach, informative talks about the benefits of seaweed and gourmet tastings. 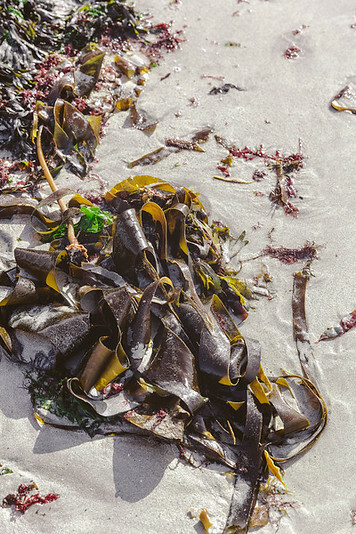 It’s so worth learning about seaweed and you’d be amazed at how seaweed can be turned into food. Ice cream anyone? 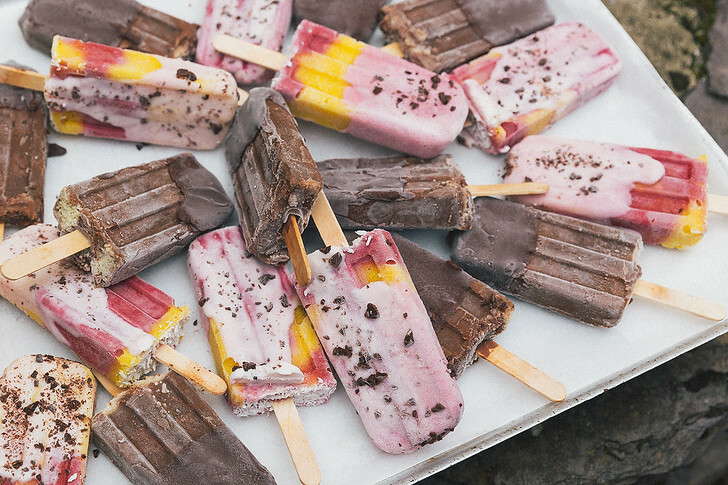 There’s no seaweed taste, these are fruit + yogurt and chocolate pops. Carrageenan is a binding agent extracted from red seaweed. Irish food is having a moment. 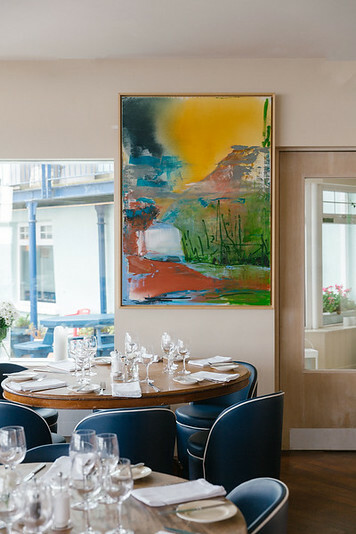 Focused on fresh ingredients from both the land and sea, with dishes like Comeragh lamb, fresh oysters and brown butter bread pudding, I was quite blown away by modern Irish cuisine. 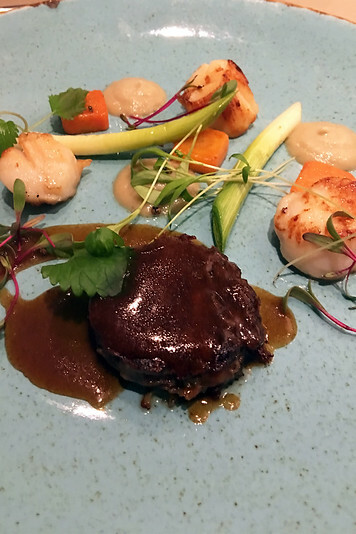 I’ve listed some of the best restaurants we ate at in Ireland below! Everything below was very, very tasty. 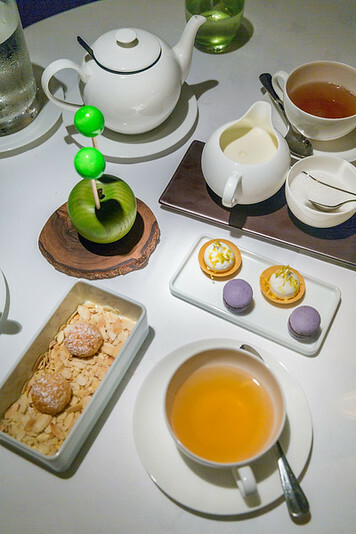 As I mentioned, many times we ate at our hotel restaurant and opted for the 3 course menu where the food was incredible. I don’t typically eat at hotels but as I’m sure you’ll find on your Ireland vacation, Irish hotels are quite unique! 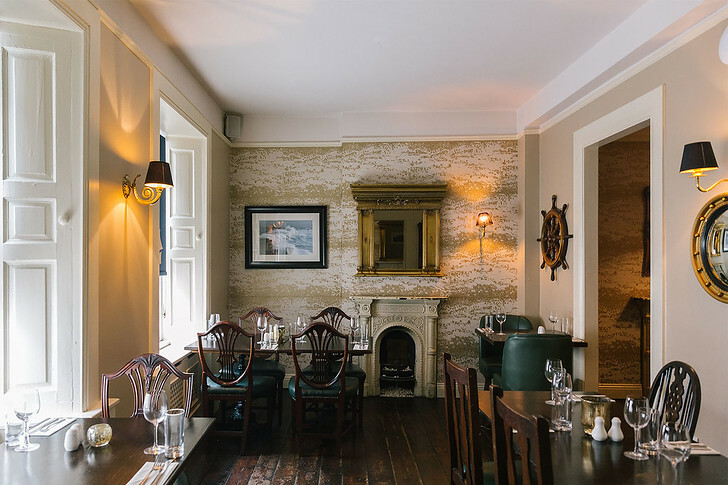 Below are a selection of the best restaurants we ate at in Ireland. There are of course so many more good restaurants in Ireland, so feel free to use the list below as just a starting point! If you want to try fine dining, you’ll love The Cliff House! 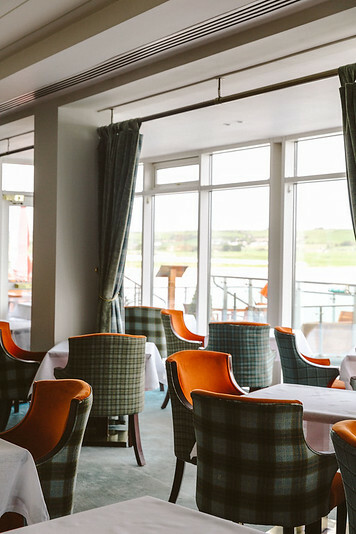 All ingredients are locally sourced and the dining room has great views over the bay. The food was so good I wrote an entire post on it. We didn’t stay here but I would have loved too. We asked to take a tour of the property and it would probably be my top choice for hotels in Waterford if I were to visit again. Read my post about our lunch here. Check room rates and availability at the hotel here. You won’t find fresher seafood anywhere else. 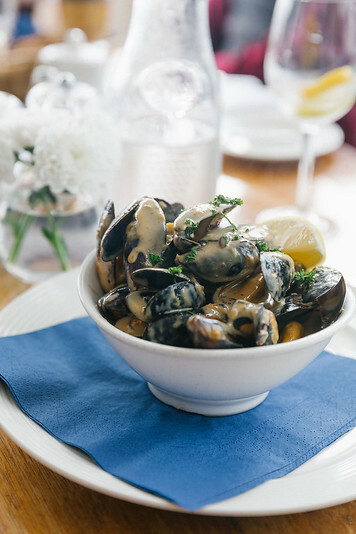 Stop in to the Strand Inn for classics with a twist, like mussels in black bean & ginger sauce. All of the seafood was incredible and the dessert was to die for. Attached to the restaurant is a family run bed & breakfast. We didn’t stay here, but took a peek into the rooms and they are very cute. I imagine this place is very popular in the summer since it’s right near the water! Read my post about our experience here. Check room rates & availability at the hotel here. We stayed here and loved the manor house, it’s incredibly well decorated and dinner here was a treat! 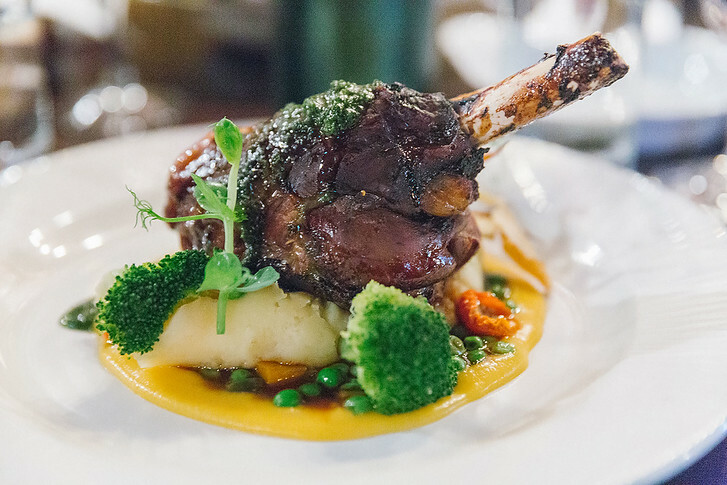 Gregans Castle is very well known for their Irish hospitality and fine dining – they’ve won countless food & wine awards. 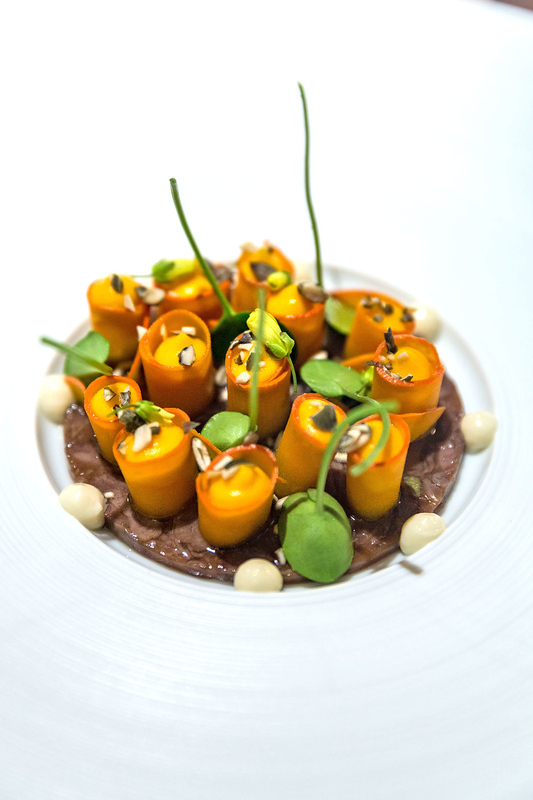 Don’t miss this one if you love fine dining. I think the restaurant gets booked up quickly for non-guests, so definitely make a reservation. The Killarney Royal is one of the older historic hotels in town. It’s been beautifully renovated and the lobby is always lively, with people chatting, having tea or dining. We had both lunch and dinner here since Hurricane Ophelia hit during our trip, and we bundled in for the day. The dinner in particular was quite good! 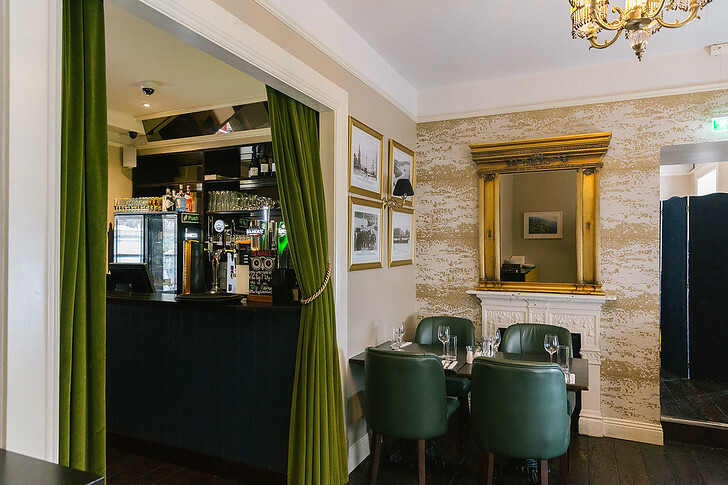 The Killarney Royal serves a set 3 course menu that’s a good value. I loved the duck and dessert in particular. Check room rates & availability here. We stayed here overnight but what was really memorable was the dessert. Everything on the menu was great and when it came time to dessert, everyone said they were too full… and then somehow we ordered the entire dessert menu. I don’t know how that happened ha, but no one regretted it! We each picked a different dessert and everything was so good that no one wanted to share! We were literally fighting for spoonfuls. Get the pavlova and cheesecake in particular. Not only does this Irish pub serve great drinks, it also has a club and live music throughout the week. We had lunch here and I was blown away. 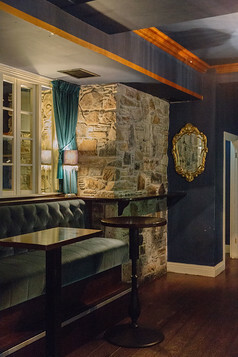 Try the blaa bread local to Waterford, oysters rockefeller, creme brulee and the lamb. I’m not gluten free, but one thing I noticed was that Ireland is very gluten free friendly. Pretty much every restaurant we went to had menus clearly marking gluten free or allergen ingredients (and not just the expensive restaurants). I found that surprising and really nice. It’s a shame to miss out on Irish brown bread but if you’re allergic to gluten or have other dietary restrictions, you’ll be pleased to find many substitute options! Happy eating! Where are you off to in Ireland?